Despite the US sanctions, can Iran survive? Despite the US sanctions, can Iran survive? Can they stand strong with their oil business? What will Eiropean countries do? How will China support Iran? The US is going to impose strict sanctions on Iran's oil sector. Iran's President Hassan Rouhani has reacted sharply. He said, "There is no doubt that the United States will not achieve any success with this new conspiracy against Iran." Iran is highly dependent on oil exports. If the ban is reinstated, it will have a major impact on the economy. Despite the new ban, the European Union has offered help to trade companies with Iran. But due to the second ban, these companies will limit their ability to trade with America, which will increase their risk. More than 700 people, airlines and ships have been blacklisted by US sanctions. There are 50 banks as well. What is the reason for US behind this ban? US President Donald Trump called the multilateral agreement in 2015, was horrific and left it out earlier this year. Under the treaty, direct surveillance was established on Iran's nuclear program, in exchange for which a huge ban was lifted. But the ban imposed on the country as a result of the exit of America has been restored one-way. This announcement is enough to increase the withdrawal of investment from international companies in Iran and already the country's crude oil exports have decreased. How will the US ban work? This time the conditions of the sanction is very tough. I f any country or company continues to maintain its trade with Iran then that country or company will also be banned by the US government. This means that the country or the company will lose all the trade agreements and deals will USA if they try to maintain their economic relationship with Iran. By far this is the most terrible sanction against Iran by the US. At the same time, due to this restriction, if a US company is trading in a business with a company in Iran, then that US company will also be punished. The ban on the banking sector has become effective from November 05. In August, several industrial houses were banned, including gold, precious metal and automobile sector. The United States clearly wants to shut down Iran's overall oil business, but it gives temporary time for eight countries to reduce their import. According to Associated Press report Italy, India, Japan and South Korea are among them. As a means of avoiding the blockage, the European Union is going to set up a financial transaction - to continue business with Iran, and to prevent US sanctions. Through this process, special operations such as banks, SPH, VEHICLE or SPV, will allow direct transactions between Iran and various organizations for direct transactions. When Iran will export oil to any European country, the country's companies will pay the price through SPV. Iran will then get the SPV as a credit. Then they will use that credit to buy products from other European Union countries. In other words, any country will have to use SPV as a mode of transaction if they opt to trade with Iran. Even if this plan works, the cost of trade in Iran-related business will be very high for many companies. What USA has to say about this ban? In June 2015, Iran signed agreements on nuclear issue with the five members of the Security Council the United States, United Kingdom, France, Russia, China and Germany in Vienna. Under the agreement, Iran has promised not to build nuclear weapons even after its uranium enrichment. In return, all sanctions imposed on the country were lifted. 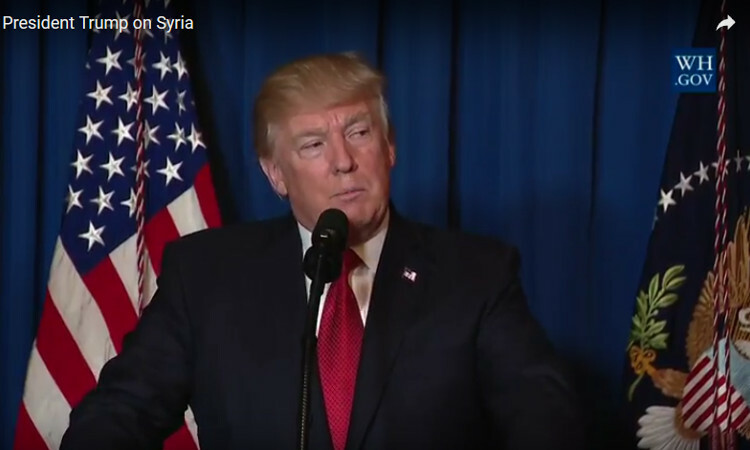 US President Donald Trump announced that the agreement signed in the Obama administration was "perishable and miserable". And on Monday (November 5th,2018) the United States announced the reinstatement of the previous sanctions before the nuclear deal. Trump calls it 'the most stringent sanction of all time' imposed by the United States on Iran. He said that he wants to take Iran back to the negotiating table. The US claims Iran is carrying out several threatening activities, including cyber attacks, ballistic missile tests, supporting terrorist organizations in the Middle East. And such measures are being taken against Iran to stop these activities. Richard Napi, an expert and senior researcher at Columbia University, said that Iran's economy is not directly dependent on the US financial system. But most of Iran's commercial partners are dependent and if they continue their business with Iran, the support they receive America will be at risk. 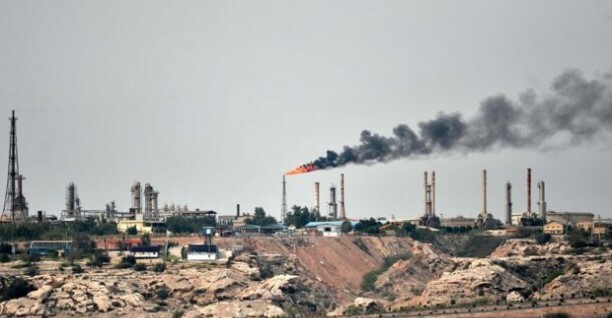 Although the United States is trying its best to reduce the exporting of Iran to zero, but it seems unlikely to increase oil prices, as Buckingham University professor Scott Lucas has said. Iran's largest business partner China will play a vital as well as complex role in this equation. As their role will decide the future economic situation of Iran mostly. Between 2010 and 2016, international sanctions were imposed in Iran's oil industry, which resulted in almost half of Iran's exports being reduced. There is no doubt that the export will still be affected, but it is also clear that Iran and its remaining business partners will work hard to maintain trade contacts. Iranians will be forced to find creative ways to sell oil, depending on their life experiences under previous sanctions. If the European investment is lost, to fill the gap, Iran will be interested in creating new trade contacts with Russia and China. 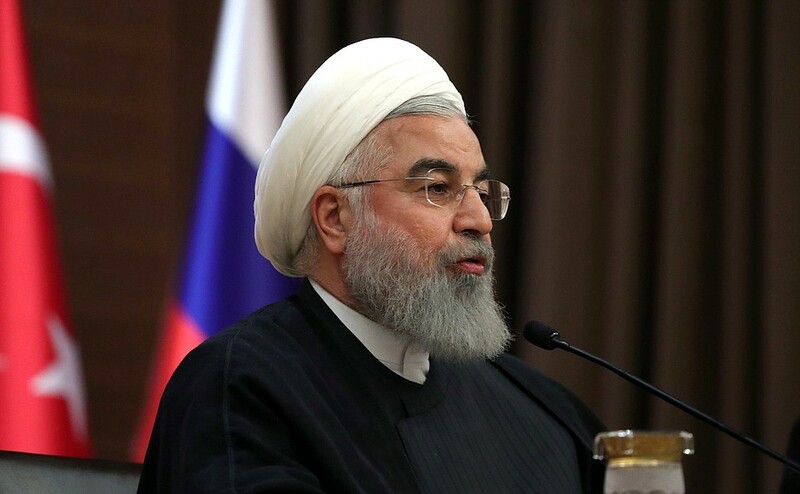 Iran is in an "Economic War"
Iranian President Hassan Rouhani has said his country is now in economic warfare. Describing this restriction as illegal and wrong, President Rouhani said that they want to keep their head high and they will break the ban anyway. But it is not clear how Iran will break the ban. The ban is strongly opposed by Britain, France and Germany. They are still committed to complying with the nuclear deal with Iran. These countries say that they will help European companies to trade with Iran according to the law. For financial transactions with Iran, they have introduced an alternative trading system called European Participation Vehicle or SVP. However, analysts say that this move of some European countries will not work very well against the dominance of USA in the world trade. The US Secretary has said that hundreds of big international companies have already abandoned their business with Iran before the ban was implemented. In this situation it is very clear that Iran's trade system is in a bizarre condition which USA wanted. Now it would a matter of interest that how Iran brings themselves out of this hole. And moreover who is going to support them? can it be China? Will China try to irritate USA by helping Iran? Can it be Russia or European Union? All of these will decide the future of Iran and the future of oil business in Middle-East as well. As Iran has the 4th highest stock of oil, their presence or absence in this sector plays a vital role. Know World Now: Despite the US sanctions, can Iran survive?